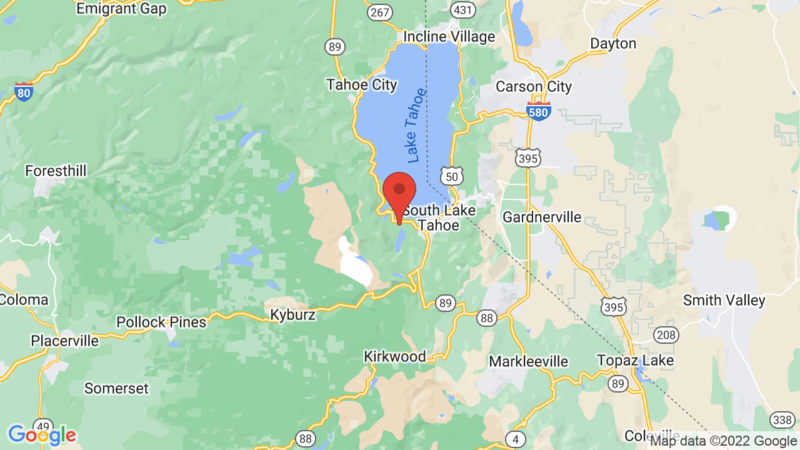 Camp Shelly is a forested, 25-site campground located a few miles outside of the town of South Lake Tahoe. Each site at Camp Shelly has a parking slot, a table, a level space for a tent, a food storage locker, and a metal fire pit and grill. Campsites can accommodate tents, trailers and RVs. Most sites are relatively small, but a few can handle a trailer or RV up to 24 feet in length. Campground amenities include drinking water, flush toilets and hot showers. The facility also has a picnic area, playground, basketball court, volleyball court and horseshoes. Firewood is also available for sale. Camp Shelly is a Livermore Area Recreation and Park District family campground located at South Lake Tahoe. The campground is centrally located so that visitors can take advantage of both the natural wonders of the area and the amenities of a major tourist destination. Outdoor recreation in the area includes hiking, mountain biking, picnicking, fishing, boating, rafting, kayaking, water sports and wildlife viewing. You may also be interested in Fallen Leaf Lake campground. Visted Camp Shelly Campground lately? We'd love to hear about your adventure. Did you find us useful? Did we forget something? 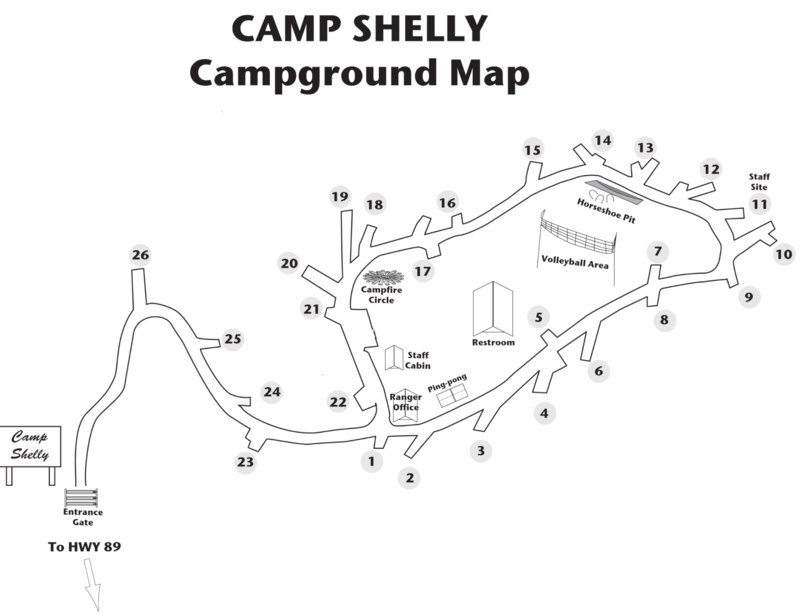 Anything our community should know before heading out to Camp Shelly?